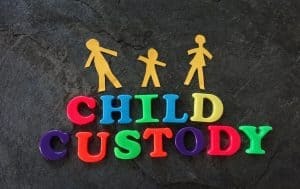 In deciding how to assign legal and physical custody, judges always focus on what is in the best interests of the child. Generally, courts like to have parents share legal custody unless there are strong reasons why only parent shouldn’t have any legal custody. One parent is usually granted (primary) residential custody, and the other parent is granted visitation. Legal and physical custody rights and terms are set forth in a permanent parenting plan. The courts review 15 factors in deciding how to assign and proportion these rights. In extreme cases, a parent may be denied legal custody and visitation rights. Tennessee doesn’t specifically decide that a parent is “unfit,” per se, unless there is a discussion of terminating someone’s parental rights altogether. The court can decide, based on reviewing all the positive and negative factors, that a parent should be denied either type of custody. Many of the 15 factors are balancing decisions such as the stability of the parent-child relationship; the ability to work with the other parent; the ability to feed, clothe, and educate the child, the emotional needs of the child, and other factors. Refusal to attend a court ordered parent education seminar may be considered by the court as a lack of good faith effort in these proceedings. The moral, physical, mental and emotional fitness of each parent as it relates to their ability to parent the child. Here, the court may order that a spouse undergo a confidential mental health exam in which the results of the exam will be revealed only to the court. Evidence of physical or emotional abuse to the child, to the other parent or to any other person. The court shall, where appropriate, refer any issues of abuse to juvenile court for further proceedings. The character and behavior of any other person who resides in or frequents the home of a parent and such person’s interactions with the child. Failure to pay child support is normally handled separately from the custody decision. A parent can be sentenced to jail for not paying support but will normally not lose the right to see the child if there are no other issues.